Collins Booksellers - A Practical Guide to Decoding Your Dreams and Visions by Adam Thompson & Adrian Beale, 9780768412314. Buy this book online. Dream Interpretation: Step by Step! Learn the steps to deciphering the spiritual meaning behind your dreams! In their landmark book, The Divinity Code, Adam Thompson and Adrian Beale helped encourage the church to rediscover the neglected art of dream interpretation. 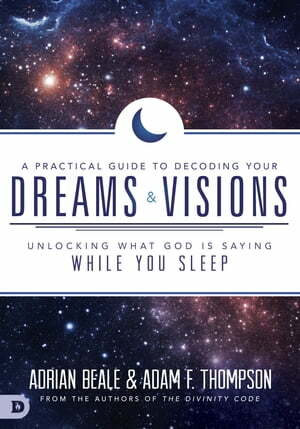 Now, in A Practical Guide to Decoding Your Dreams, they show you how to apply revelatory tools and Bible-based techniques to actually understand what your dreams mean and how to respond to them. Receive easy-to-understand teaching on the steps of dream interpretation. Learn the practice of dream interpretation so you can increase your ability to hear God’s voice while you sleep and pray His prophetic strategies over your life, your family, and your nation!